It smells so good in here already don’t you think? Today’s Apple Cinnamon Rolls recipe is a family favourite around here during the Christmas holidays. What’s even better is when my sister-in-law said my apple cinnamon rolls are the best she has ever tasted and she is a pretty good baker herself! My apple cinnamon rolls started with a recipe that I found in a library cook book years ago and modified it to suit our family tastes. I remember the first time I made these apple cinnamon rolls because I had one lonely apple in the kitchen that needed using up. Sometimes good things come from just one inspiration such as an apple. Since apples and cinnamon are such a tasty pairing and quite common in many recipes, it seemed to be an easy step to add that one apple to my cinnamon rolls. A new family recipe was born, Apple Cinnamon Rolls! I have to admit some of the measurements are not very exact but I tend to be a dump cook, as in I just dump in an amount and go roughly by taste. The amount of brown sugar, Organic Ground Cinnamon and flour in the filling is a good example of eye-balling or add to taste. Depending on the time of year, the apples may need more or less brown sugar and flour. For example apples during the Fall season when they are fresh from the tree will be sweet and juicy. If this is the case you will want to add less sugar but more flour to soak up all that apple juice during the baking process. Use your own judgement based on the apples you use and time of year. These apple cinnamon rolls WILL make for a yummy brunch or breakfast on Christmas for the family. The best part is that they are budget-friendly and far less expensive to make them at home rather than buy from your store bakery. The apple cinnamon rolls can be made up the night before, covered with plastic wrap and left in the fridge overnight for that second rising. Just pull the pan out to come up to room temperature while the oven is warming up in the morning and voila… you’ve got Apple Cinnamon Rolls permeating the house. Everyone will be awake in a jiffy. I don’t have a lot of clear work space in our kitchen so I cheat slightly when it comes to the kneading of the dough. I knead in the bowl using the last cup of flour to dust my hands and the dough without getting flour all over the counter. I also lay a piece of wax paper on the counter when I go to roll it out for the cinnamon roll filling and rolling. A quick swipe with a damp dish cloth and it will stay put fairly well. Now…on to the good stuff! 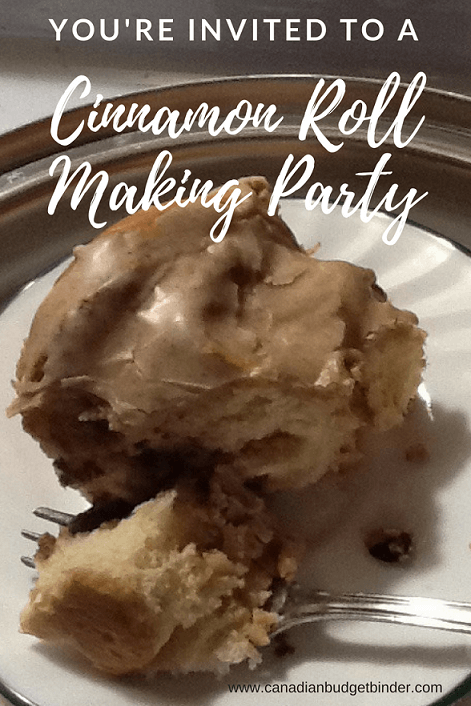 Let’s make some Apple Cinnamon Rolls! Wake up on Christmas morning to these gorgeous frosted Apple Cinnamon Rolls baking in your oven. Your family won't be asleep for too much longer once the smells of apple and cinnamon swoops through the house. 1-2 apples, peeled and chopped fairly fine. Combine 2 cups of the flour, sugar, salt and yeast in a large bowl. Add the milk, butter and egg. Beat hard for one minute with a wooden spoon. Gradually add the rest of the flour to a soft dough and knead for 5 minutes. Place in a greased bowl and cover. Place in a warm, draft free spot, I use my oven with the light left on, and let things rise until double. Roughly 1-1/2 hours. Tip: Mix up the filling in a bowl just before you get the dough out of it's nice warm spot. Punch the dough down and roll or pat it to a rectangle about 10X15 inches on the wax paper. Spread the butter over the top to the edges and sprinkle-spread the filling over the butter. Starting at a long edge carefully roll the dough up, using the wax paper to help roll. Gently pinch the edges together and cut the roll into 15-16 pieces. Place cut side down in a greased 9X13 pan and cover the pan with the plastic again. Let it rise 1-1/2 to 2 hours or place in fridge for up to 12 hours. If it's been in the fridge, let it warm to room temperature while the oven heats up to 350F. Bake for 25-30 minutes or until they seem cooked in the middle. 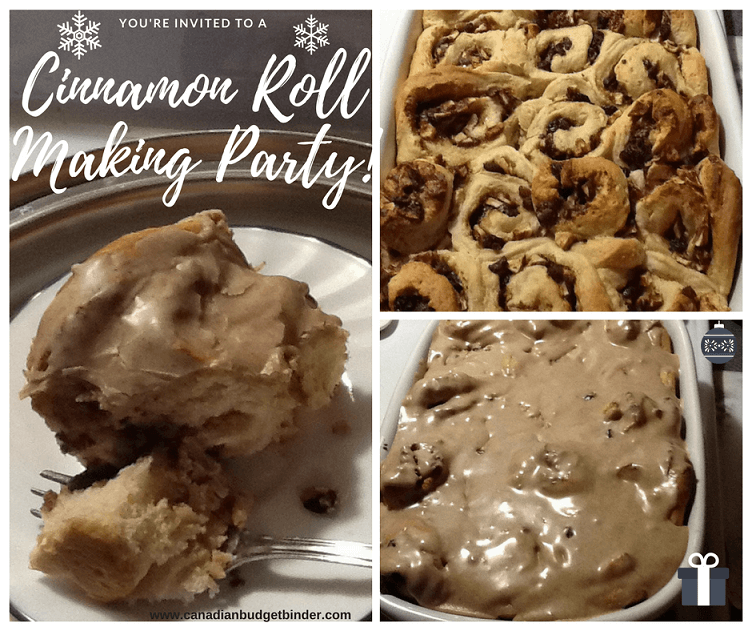 Let cool a little before spreading with a glaze/frosting of 2-3 Tbsp soft butter, 1tsp vanilla, 2-3 tsp cinnamon, 1-2 cups icing sugar and enough milk to let you pour this over those warm rolls!!! 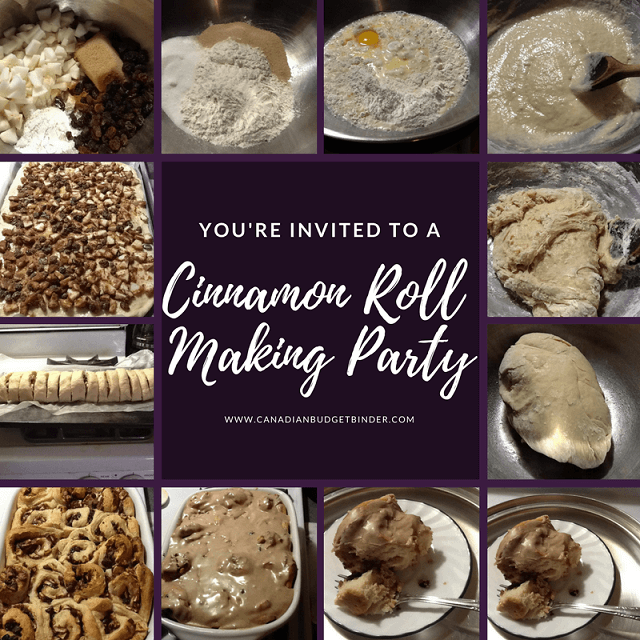 We like lots of frosting on ours with lots of cinnamon but you can adjust the amounts to suit your family and their tastes. Enjoy the warm apple cinnamon delicious-ness oozing with icing!!! We like lots of frosting our Apple Cinnamon Rolls along with extra cinnamon but you can adjust the amounts to suit your tastes. Enjoy the warm Apple Cinnamon rolls from my family to yours. Thanks Pat!! We love them here! !